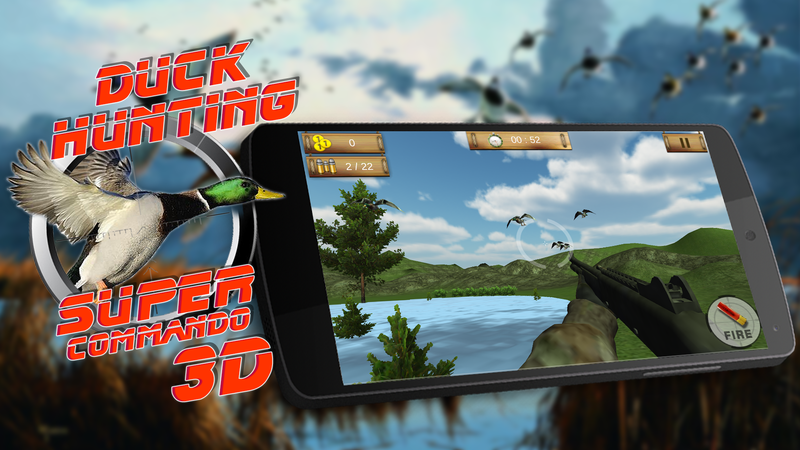 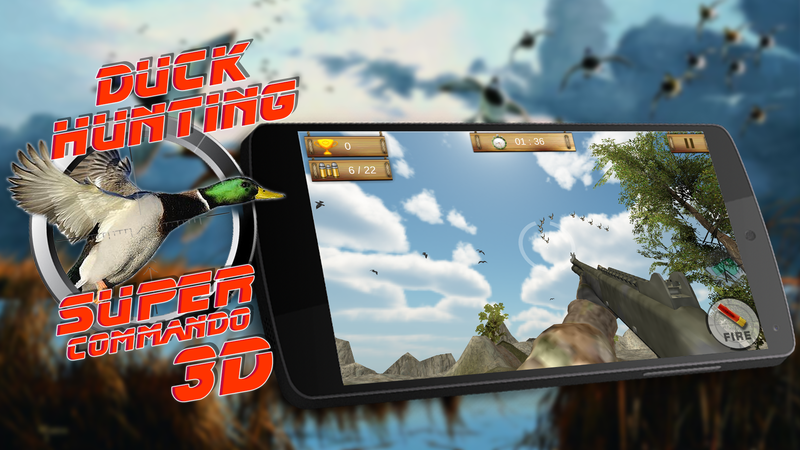 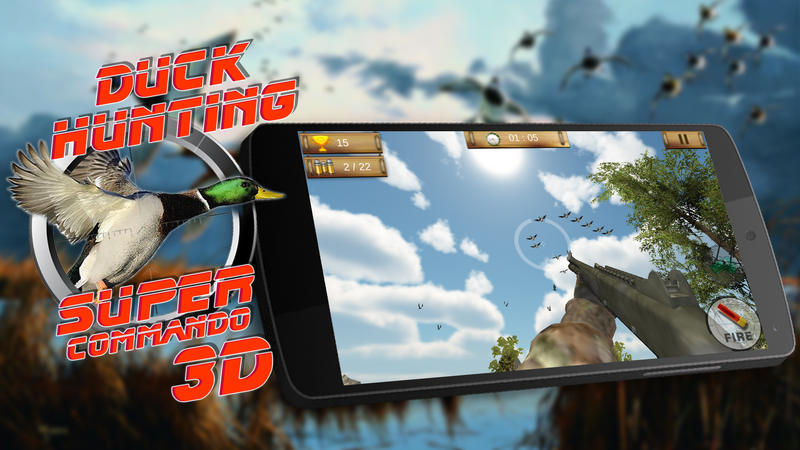 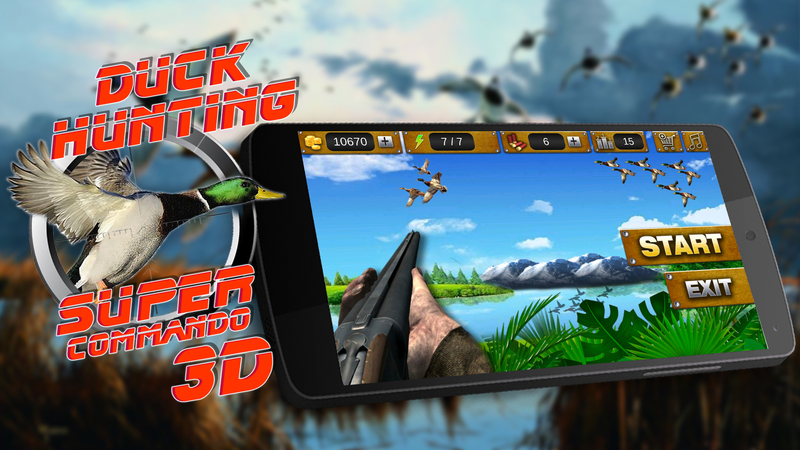 Duck Hunting Super Shooter comes with 2 interesting game-play modes to shoot waterfowl in the woods and lakes. 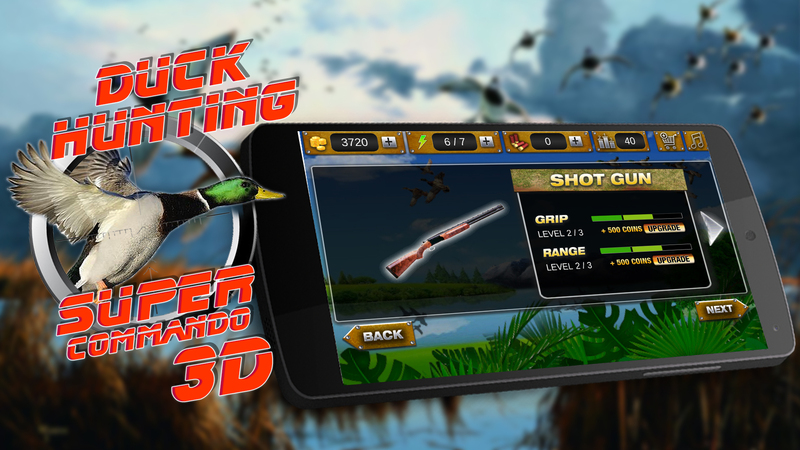 In lake location complete various shooting seasons and earn maximum coins to upgrade your shooting gears and guns. 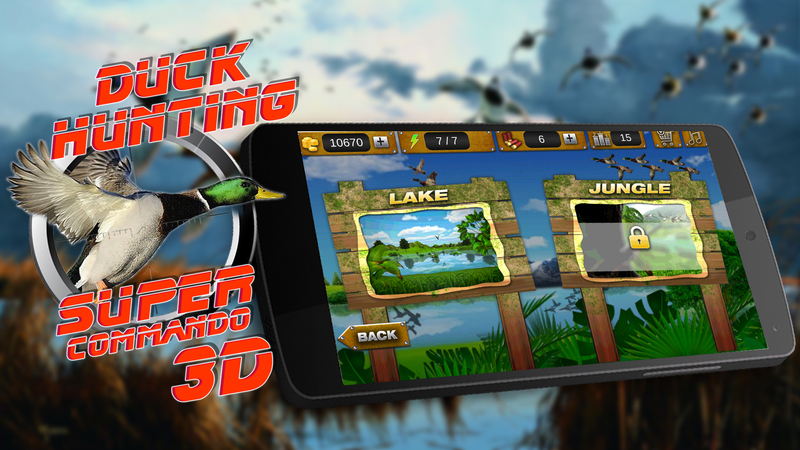 On the other hand, the Jungle location is the endless mission, which spreads over multiple locations in the forest. 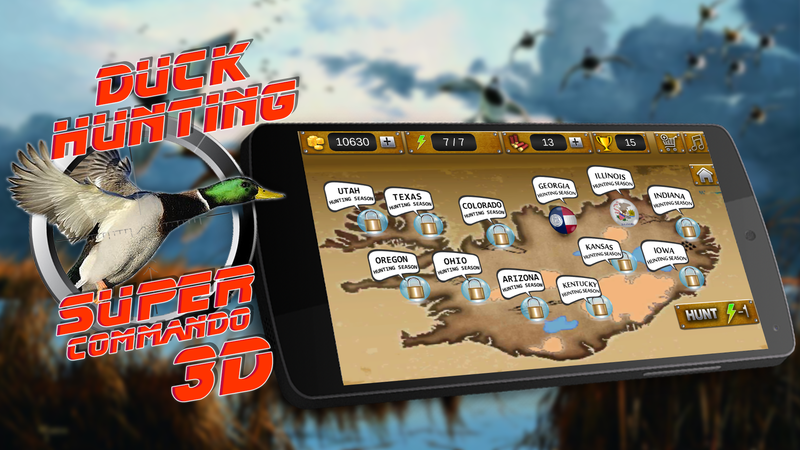 Earn extra coins and hunt more waterfowls by hunting waterfowl flock. 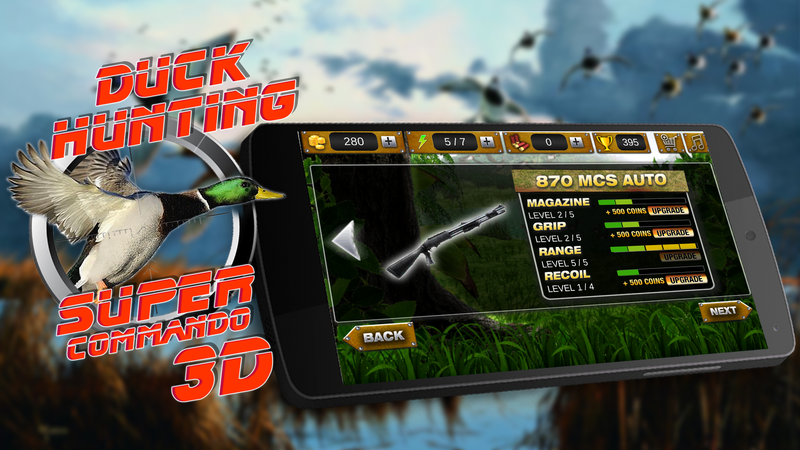 Increase your scores to earn the title of Super Duck Hunting Commander. 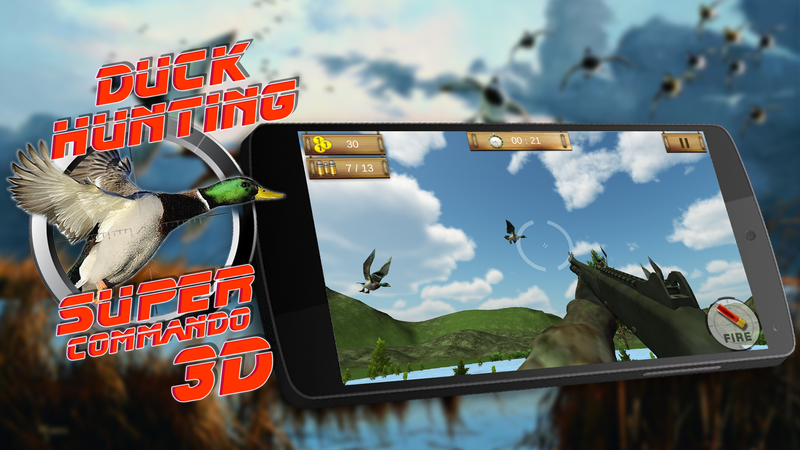 Make use of whistle and waterfowl calls to attract bird flock towards yourself for maximum reward.